Beyoncé is ready to step back into the spotlight! The singer, who stopped the world on Thursday night by posting the first photo of her newborn twins, continued to break her social media silence on Friday with a slew of photos from her first post-pregnancy outing. 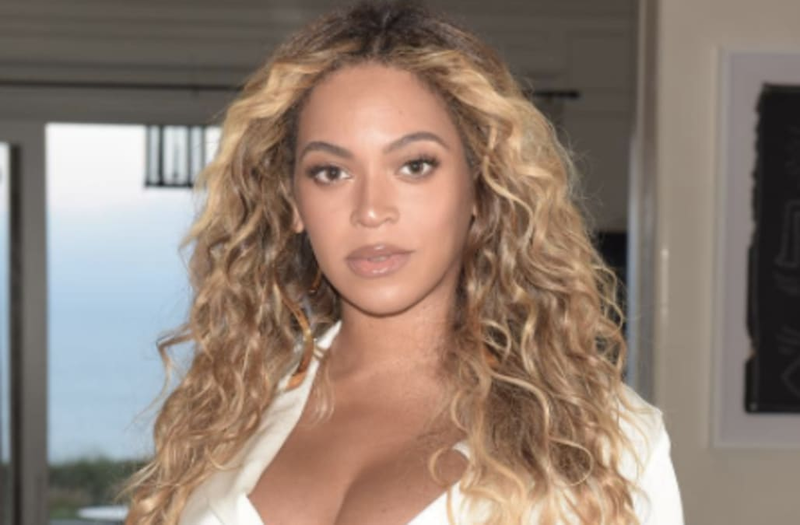 In the photos, Beyoncé dons a white, bell-sleeved shirt that put her ample cleavage on display and was tucked into a high-waisted pink skirt with floral detailing, which she paired with a fluffy handbag and heels. She let her hair hang loose in natural curls. In one of the three photos, the "Formation" hitmaker is seen embracing her husband, JAY-Z, who is shown from behind wearing a Kurt Cobain denim jacket, black pants and a flat-brimmed hat. The pictures, none of which are captioned, were presumably taken before the couple headed to Vic Mensa's The Autobiography album listening party in LA on Thursday night. The couple had been photographed leaving the event after staying for an hour and hanging out in a roped-off VIP section. Of course, the posts come hours after Beyoncé unexpectedly posted a photo of herself holding her 1-month-old twins, Rumi and Sir Carter, in a photo styled in the same avant-garde fashion that her famous pregnancy announcement was styled in. "Sir Carter and Rumi 1 month today. 🙏🏽❤️👨🏽👩🏽👧🏽👶🏾👶🏾," she captioned the ethereal shot.